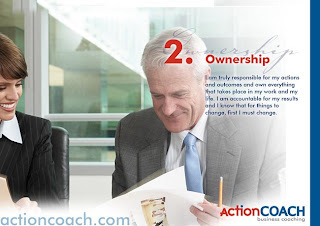 Coach David's Corner: What Are Business Owners Saying? What Are Business Owners Saying? A Business Coach will tell you what you didn't know you didn't know about business. There is always room for positive change and improvement; if you think you know it all about how to dominate your industry, you just made your first mistake. If we haven't spoken yet, it isn't because you don't know how to contact me. Whatever your reason is, don't let it be the small obstacle that kept you from getting massive results. Does your competition have a coach? What will have to happen before you will take action? Will it be too late? Don't settle for anything less than the best - the numbers don't lie. Real results are real results - ask me what my quantitative results are. If your tooth still hurts after visiting the dentist, something didn't go right. If your car still growls after a tune-up, something wasn't done properly. And if your business isn't running better with a Business Coach, it may be time to re-evaluate the situation. "The Downtown Business Revitalization Zone has partnered with Action Coach on a number of business building workshops for our members. These workshops are very popular with our members. We always receive positive feedback from workshop attendees who greatly benefit from the professional coaching expertise provided by Action Coach. We would highly recommend Action Coach to anyone looking to positively impact the way they do business." "Action Coach really know what they are doing. Allow me to explain; if you were an airline pilot and you were just a few degrees off course you might miss your destination by hundreds of miles. The trouble is that we don't always know what the "few degrees" are in our businesses. Action Coach have the expertise, experience and objectivity to help you take your business to the next level!" "As I implement the strategies and systems taught in the sessions I have more time, have a better income, and enjoy a better balanced life. I expect that by staying the course I will see my income double over the next year and my stress level continue to decrease." "We are now growth oriented and setting goals and actions on a weekly basis. We have been able to make some important changes in the last year and know that with the help of Action Coach we are moving in the right direction." It's time. Contact me today. that takes place in my work and my life.